Our Lekker Riders can often worry about the state of their favourite bike, especially when leaving it outside. While being made of rust-free materials, our Lekker Bikes can also use some extra-protection from the weather if one deems it necessary. 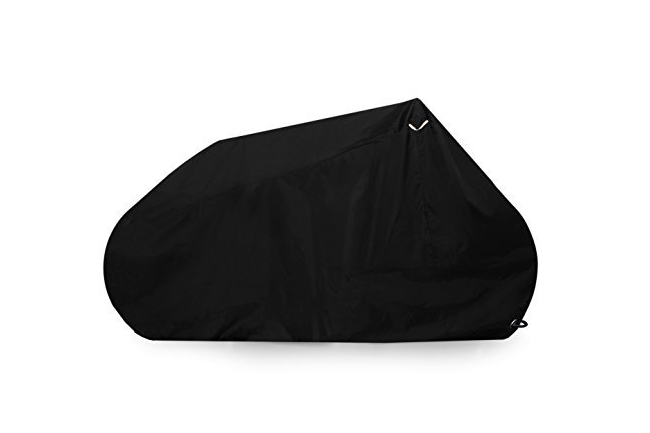 This premium quality bike cover is made of a water resistant materials that will keep any bicycle safe and dry from all elements, while its full interior and exterior armament will also protects it from UV rays. The cover has been double stitched to guarantee strength and durability, and the handy material allows to store it away easily and compactly as well. It is everything you need to protect your bike in a fast and simple way!